Hello! Playing again to create a wreath design with a stamp that is other than a wreath. 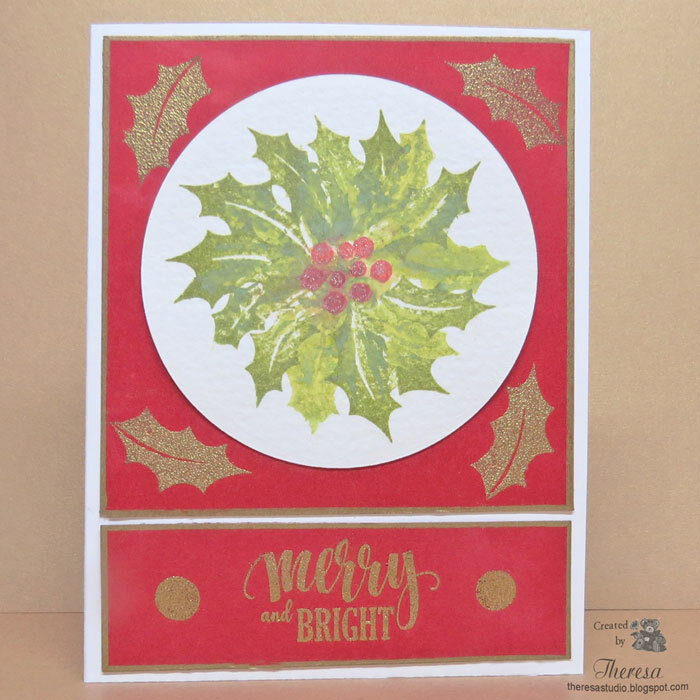 I used the Holly with Berries stamp from GKD Merry and Bright kit and used Distress Oxide Inks Peeled Paint and Fired Brick to stamp my design on watercolor paper and filled in with a water brush. I die cut the image with circle die and attached to a square of Red Velvet CS that I heat embossed the corners with gold holly leaves and edged with a gold marker. Finished the card using a white Card Base with a panel for the gold embossed Sentiment and circles.